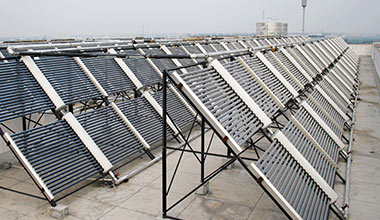 This solar water system is very commonly used in residential quarter. The collecting part can be athered on the rooftop. 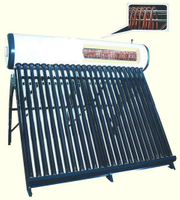 This solar heater connects a few sets or several freeze-resistant singal solar system, which is shown in the pictures. No extra cares needed for the operation of the system, and hot water may be available anytime in 24 hours of a day. 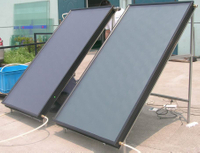 The solar heating system can even work normally when the temperature is 40 degrees below zero. It is fit for middle or small sized hotels and bathouses. 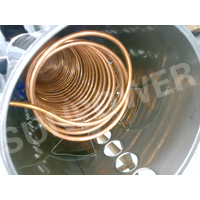 Hot water which is produced by soalr water heater is available anytime in 24 hours of a day. The system can work normally even when the temperature is 20 degrees below zero. 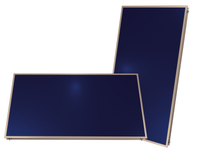 It is suitable for middle and small-sized hotels and bathhouses. With the more serious environment pollution, the government lays down a series of restriction policies in accordance with every city because of the traditional boilers high energy consumption and many emissions polluting environment. Even more, some cities have been seriously forbidden using the boilers. However, so many collective bathrooms, hostels, mid and small hotels, enterprises and institutions need heating water to bathe. 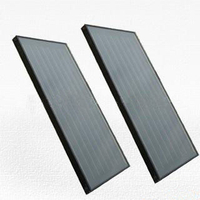 The sunpower solar concentrative heat water supply system engineering is safe, economic, no-pollution, automatically controlling, which using the sun as the main source of power. Its lifetime may be 15 years and has noticeable benefit of economic, environment, society. Now, it has been used in many companies in some city.